Dark Forest is a concept band, founded by guitarist Sigurdur Rögnvaldsson in 2013. 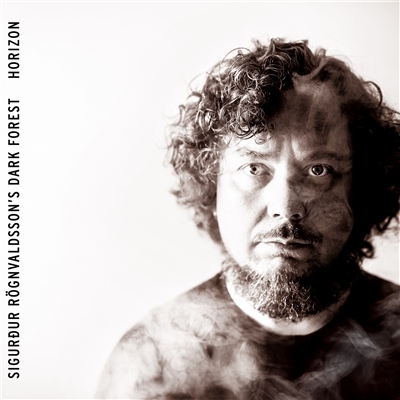 Based on Sigurdur’s own compositions, Dark Forest invites the listeners to a journey through a dark and mystical forest, full of mutated creatures and their strange yet captivating stories. The band takes a unique and fresh approach to progressive jazz with rock influences. The atmospheric and melodic qualities create a playful sound which draws from heavy riffs, dynamic drum beats and screaming saxophone sounds. The debut album Kisima was released on October 9th 2015, and the follow up Horizon three years later in October 2018. Sigurdur Rögnvaldsson is an Icelandic guitarist based in Helsinki, Finland. He graduated with a Bachelor's Degree in Improvisation from the Academy of Music and Drama in Gothenburg, Sweden. He holds a Master's Degree in Jazz from the Royal Collage of Music, Stockholm. In his musical endeavours abroad, Rögnvaldsson has managed to form his own bands that create and perform their own music. His musical style remains hard to be categorised: It is comprised of modern sounds with jazz and rock influences, with a heavy reliance on improvisation. Alongside Dark Forest Sigurdur's other main project is the powerful trio Equally Stupid where he plays a baritone guitar and often takes on the roll of the bass. His other ongoing projects include such various performances as the duo acts with the Finnish guitarist legend Raoul Björkenheim, Eyjafjallajökull with the Finnish drummer Tatu Rönkkö (Efterklang, Liima) and Fuzz N’ Us with the Danish drummer Christian Windfeld.